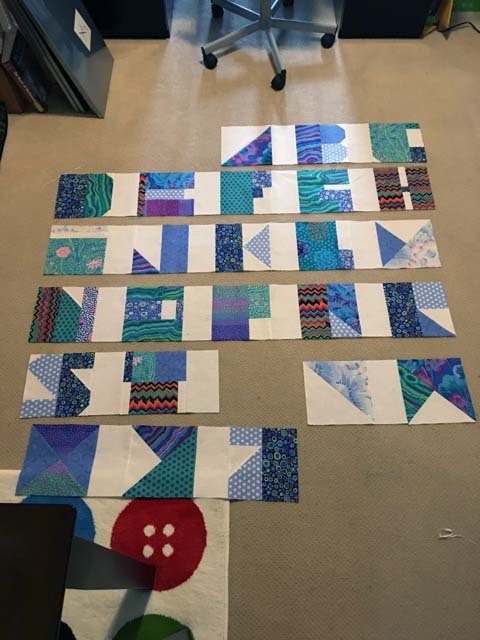 This is a project I am making for someone who has a special occasion coming up—buying the fabric, I picked blue Kaffe and Modern Background Paper, was the easy part. But time is becoming of the essence, and the fabric has been staring up at me, expectantly for more than a couple of months now. I need this done. 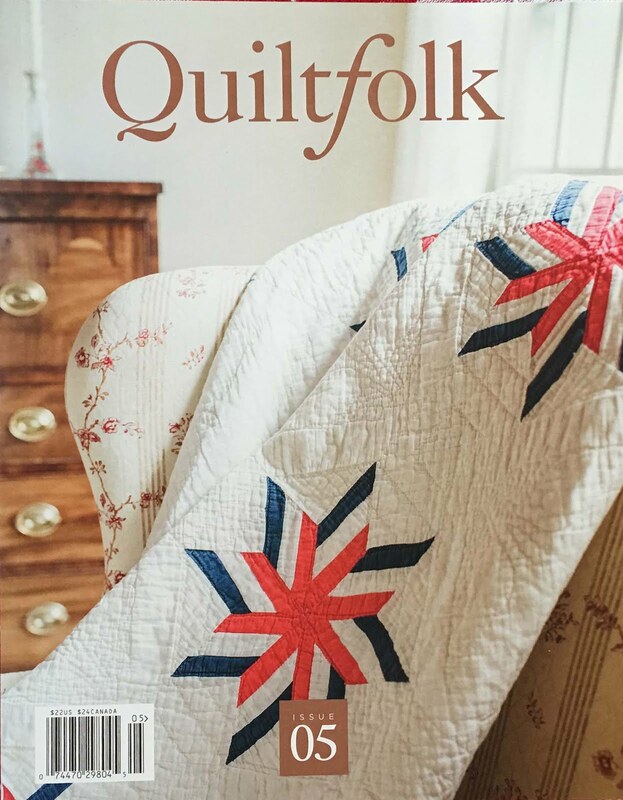 We've all seen ads for "Quilt in the Day'" and I’ve always wondered if this is really possible. I am not speedy. 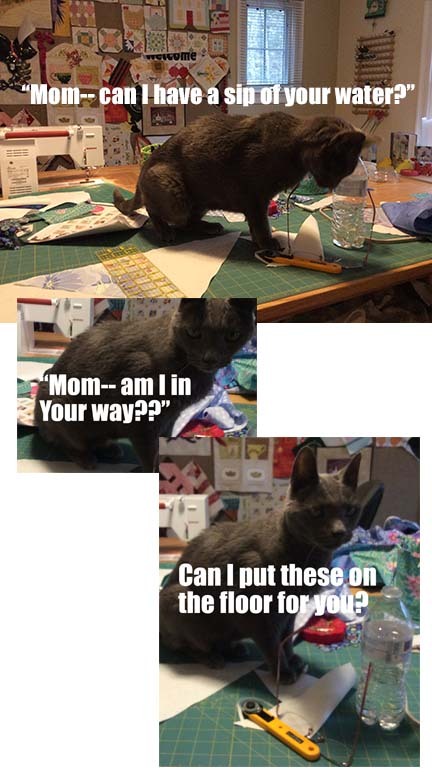 I have a Saturday by myself at the house… I am turning off my phone, locking the doors, and to set myself up for success have cleaned out a corner of my sewing room and readied my cutting board with new rotary cutter blade, etc., etc. 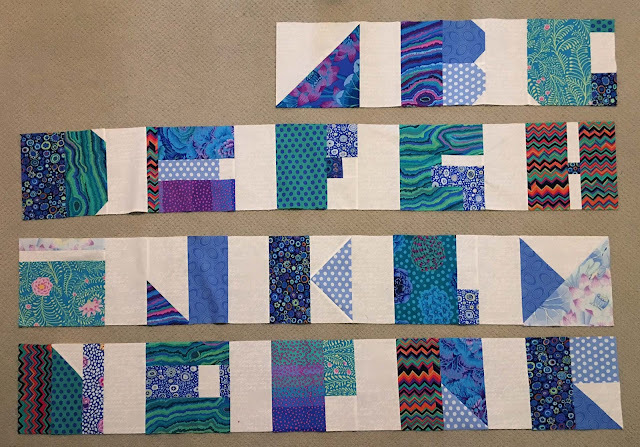 Here's the math (I like math): I am thinking I can make one letter in about 15 minutes-- or that's four an hour, so after 7 hours I would have the blocks done. Since a 12-hour day is nothing when you’re having fun, that gives me five hours for assembly. All seems as easy as pie. I will probably send this out for quilting so that doesn't count. And with my quilting skills, even a year would not be enough time. There will be frequent updates throughout the day. Let's do this. 7:00am. The clock starts. Weather is cooperating-- it's pouring outside. Doors locked, phone off, iTunes on. (I prefer Classic Rock.) “A” is a simple half square triangle. You make V as the same block and turn it upside down. Check and check. Now for “B.” I don't like B. Sorry, Tula!—it’s too modern for me. A couple extra triangles save the day. C. Check. Very straightforward, but I am having a premonition that this could get to be a bit boring. Thank God it's not 45 of the same block! Four blocks down for the hour—right on schedule! 9:00am “E” was brutal. Made my simple changes and came up an inch short on the width. More coffee needed? So I just decided to add a strip and I LOVE the way it came out. For every epic fail, there's a happy accident. Also costing me time, my background fabric is directional-- it has words on it. The words appear to be in German, (a theme here?) so I’m not sure anyone would notice if I made a mistake by putting it upside down. I don't intend to exhibit this in Munich so I'm going to let that go a little bit for time’s sake. That makes a grand total of TWO blocks now for this hour... So it's a third coffee and I will meet you back here at 11. The rubber needs to meet the road. 12:00pm Time flies when you’re having fun-- Woohoo!—just finished my “L,” halfway there. Thirteen blocks in five hours—not quite on schedule but there’s a lot of daylight left. I discovered something new about myself and I’m not proud of it... I use up a lot of time standing back to admire my work! F and G went well. The “H” really needed a crossbar, but easily added... Tula’s “I” is adorable and oh, sew easy to make. J, K, and L were also pretty simple... I did break protocol no took calls from my mom (it’s a beautiful day in Florida) and my son (no cavities). It is now breakfast time! Trying to limit that to a half hour. 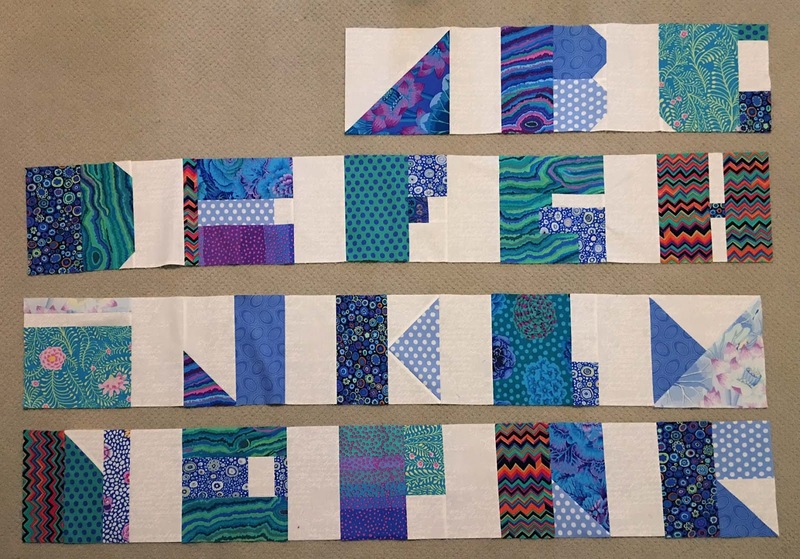 Then I am pretty much assured I could have all the blocks done by 6ish (dinner) time and then spend the evening connecting the rows. Further than I thought I might have been. I got this! 2:00 Fourth row just finished. I have to admit I am really getting tired mentally and physically. Seven straight hours of sewing. Taking another 1/2 half hour break and vowing to continue! M, N, O and P are finished. Q is really not looking like a Q to me, but I can’t face alterations anymore. 3:00 Fading fast!! All I have to show for the last hour is a T and a V with the words upside down. 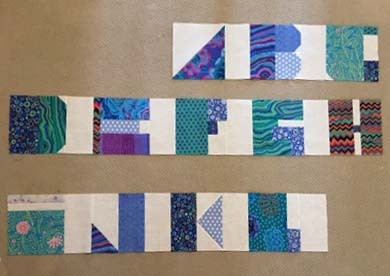 Because with directional fabrics, the trick of turning the A upside down didn’t work.... I can’t live with it, so it’s a redo. Worst of all, my cat is starting to help me... probably wondering where mom has been all day. Help! 5:15pm The only thing missing is YOU! Get it? Feeling very punchy, a bit smug, running out of floor space and very, very hungry! YOU will have to wait until after dinner... Its time for a LONG break. Sewing room also needs a big cleanup to make room to cut those LONG white strips between the rows. Thread tails and snips of Kaffe everywhere. So instead of four blocks an hour, I pretty much averaged TWO... this confirms the lifelong maxim we've all know-- everything takes twice as long as you think it will. 10am the next day… took me only about an hour to finish the long seams after a good nights sleep! Feeling super positive after being a downer at the end of yesterday... the quilt is done for now—I’m WAY ahead of schedule. I need more of my background fabric (thank you, Fat Quarter shop for still having it) and a little math to bring it up to a twin bed size. Would I attempt this again? Honestly, probably not--- I am really beat today and won't get much done anyway, so I might as well have taken the weekend to do it more leisurely. 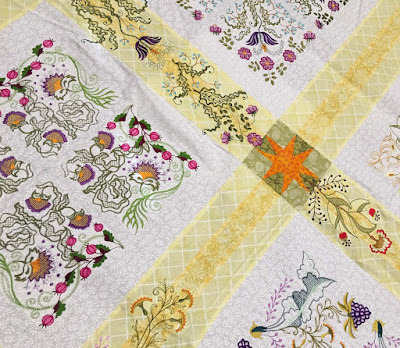 But I learned a few things about quilting and about myself... Standing back to look at things does not make for progress... put the pedal to the metal on long seams... the more tired you become, progress starts to become impossible… and the biggest take away of all-- I do not really ever get sick of sewing!!! The above photo represents 18 hours of work. 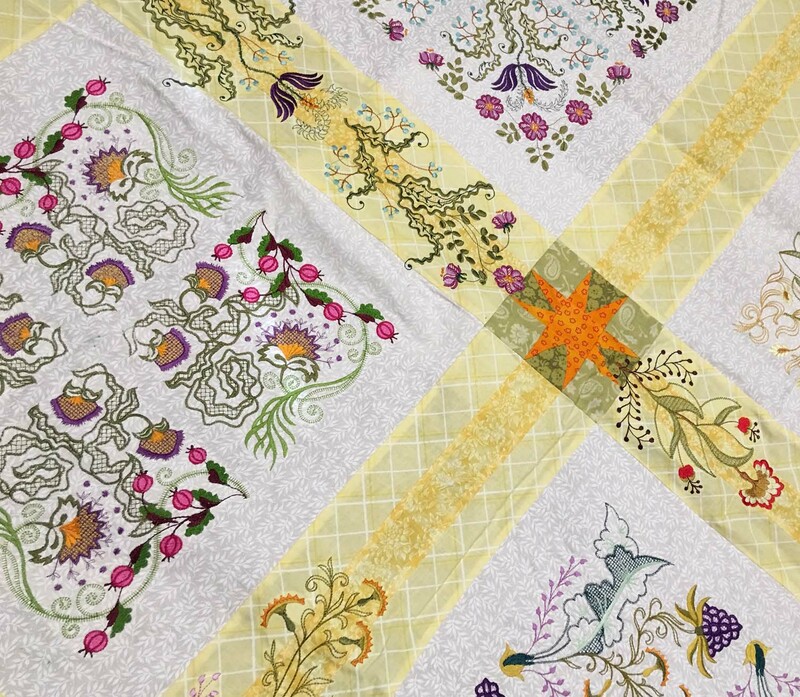 I absolutely LOVE this quilt and have a knock it out of the ballpark gift for someone dear.... QUILT IN A DAY—an experience that’s now OFF my bucket list! Since this is a machine embroidery blog, lets start with my American Beauty UFO... it so deserves a trip out of the cabinet, and yes, I need to finish it! But now for a bit of digression... I always loved nature. 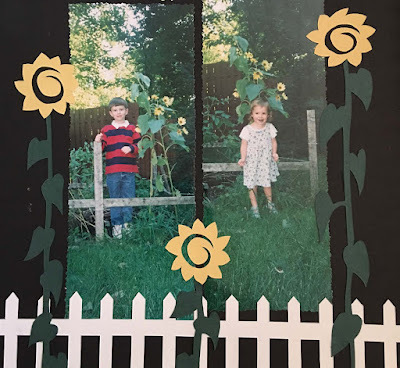 Before hoarding even became popular, I did it with plants. In my early twenties, my house looked like a jungle. I'm not sure of the exact potted plant count-- it might have been close to 100, but it took me two hours to water them every Saturday. I knew all of their scientific names by heart. 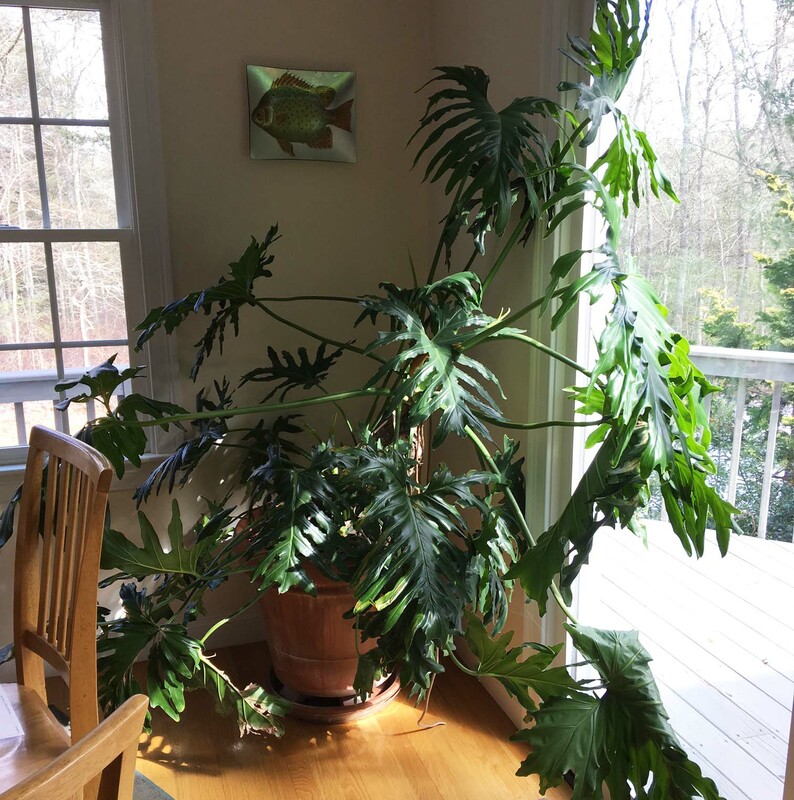 I have one amazing thing left-- this philodendron, given to my husband by his mother when he left for college over 35 years ago--- here it is today. My husband and I both attended the same art school, and I remember making drawings of it, being the only readily available vegetation in NYC! 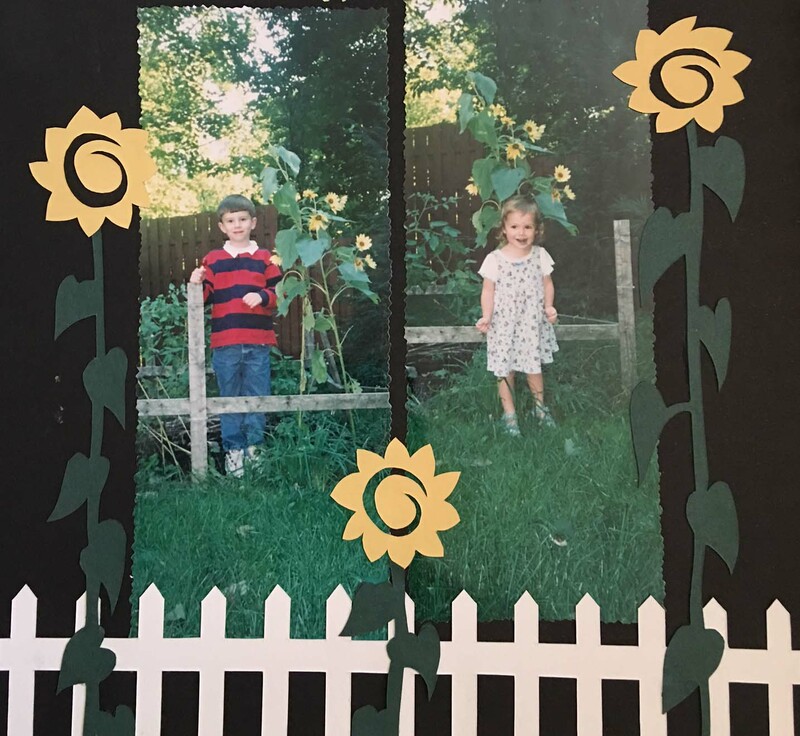 What started as two main stems then produced two "babies"-- each one after my own kids were born. A coincidence? We repotted one for my daughter to take off to college with her. We tease that the big plant will get her bedroom now. Now my children have both left the house, and my former ways are starting to "creep" back in! 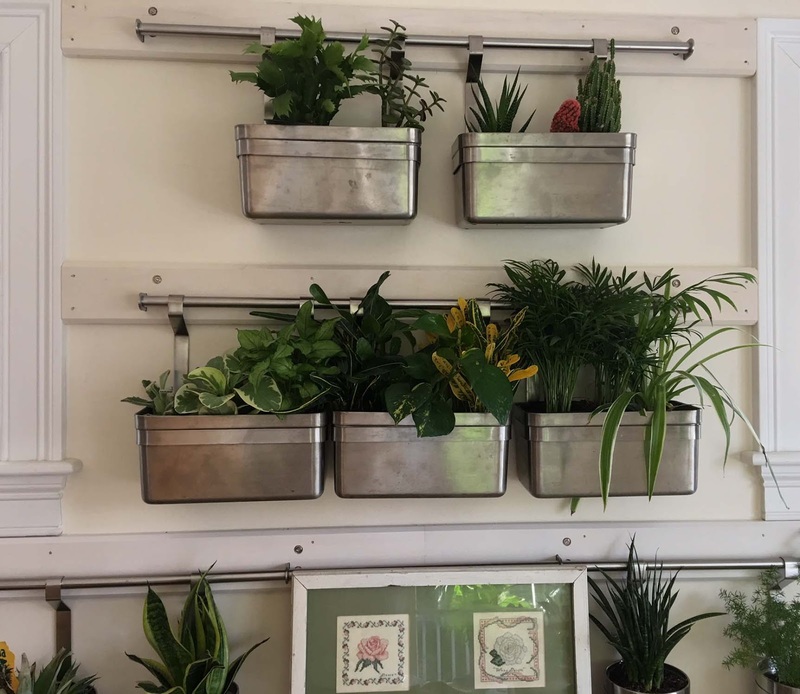 I noticed the plants on sale now are much different, most kind of prehistoric looking and very, very hardy for today's modern woman... and the ways to display them are just as new. 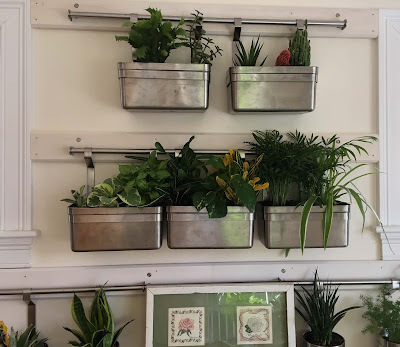 This is my "green wall" installed by my very handy husband. Yes, it again takes me about 2 hours to water them every Saturday, mostly because that is quite a reach! Of course, flowers of the thread sort are high on my list of things I love to do. I originally bought my first embroidery software because I couldn't find a stitched rose of the exact variety I wanted on the entire internet! Not bad for an early effort, I think! 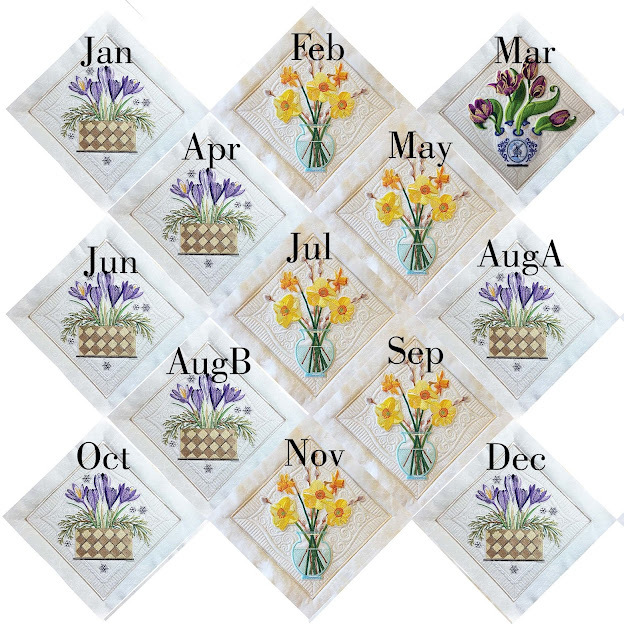 And this year's block of the month is "The Language of Flowers" and I hope you are enjoying it as much as I am. Just as pretty on a wall and so much easier to take care of! 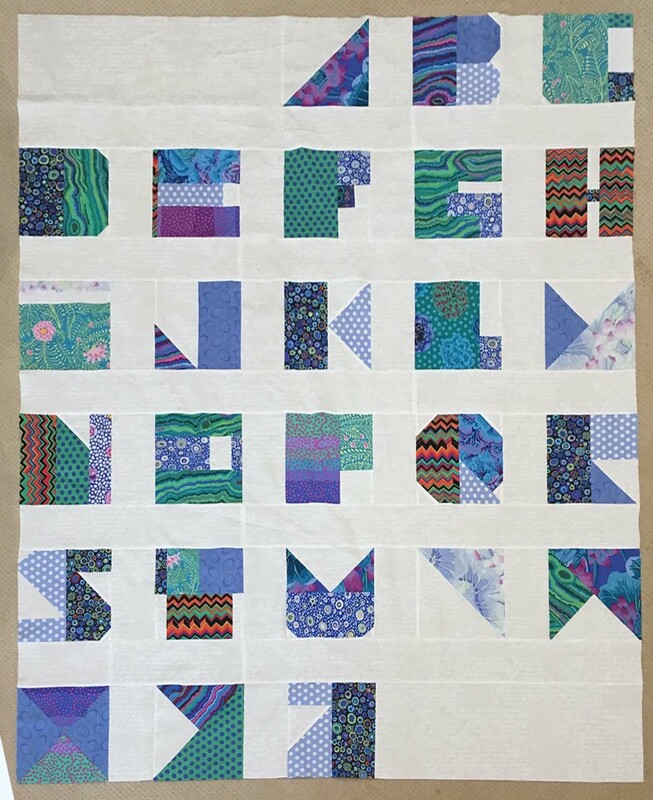 This year's blocks are again quilted-in-the-hoop, and then stitched together-- here's a little photo-shopped sneak peek of the finish using the blocks we have. My math was slightly off- we'll need thirteen blocks--- but I think a summer month with a "bonus" block would do the trick! And what do you think that bonus block will be? To set them on point, you can see we'll need a half square triangle and a quarter square on the corners-- all-in-the-hoop of course!! and we will get those cooking up soon. 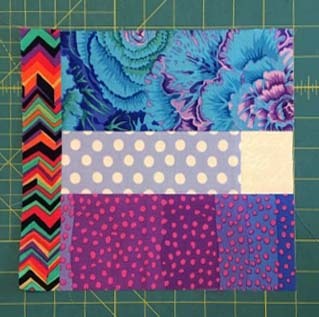 "On Point" means the blocks are stitched diagonally, so pay attention!! !-- like when April gets stitched next to February next month. ?!?!?!?!? So far we are planning white lilies next month, Caladiums (hubby's fave) sometime this summer, and an amaryllis for December, because for some reason, I can't digitize a poinsettia to save my life, and believe me I have tried. We hope you're as psyched as we are-- try to stay current, and as we do a bit of planning on what each month will be, post your comments below with month and flower--we'd love to know your thoughts. And now, we'd like to see a little spring!! !